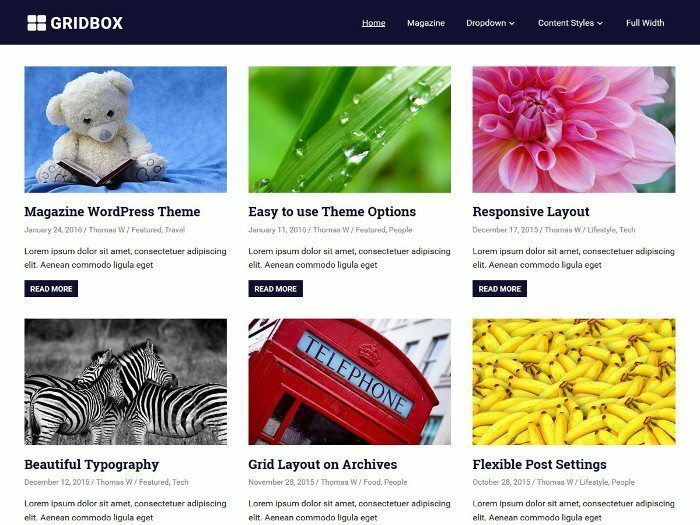 Free themes are a great way for anyone to get involved in WordPress. You don’t need to be a designer or have a lot of money to create a beautiful theme that’s perfect for your business or blog. This article lists some of the best free WordPress themes from the month of September 2016. 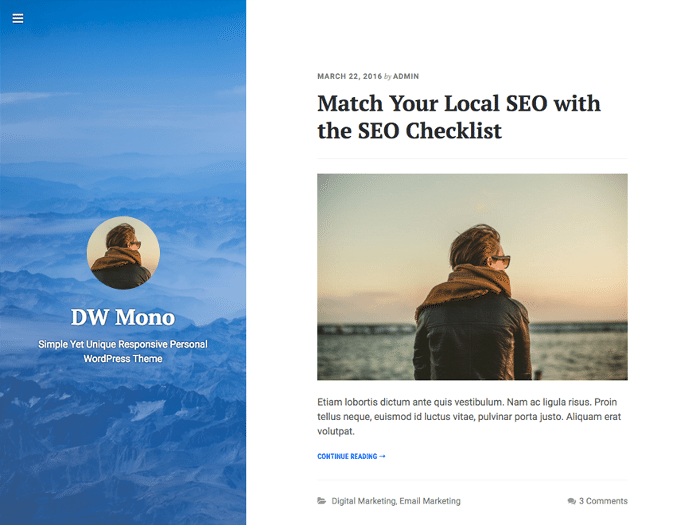 DW Mono is a clean and minimal blogging theme. It is responsive and translation ready. DW Mono features your Gratavar or side logo with a background image on the left side of the screen, with your posts appearing on the right. It is ideal for personal blogs. 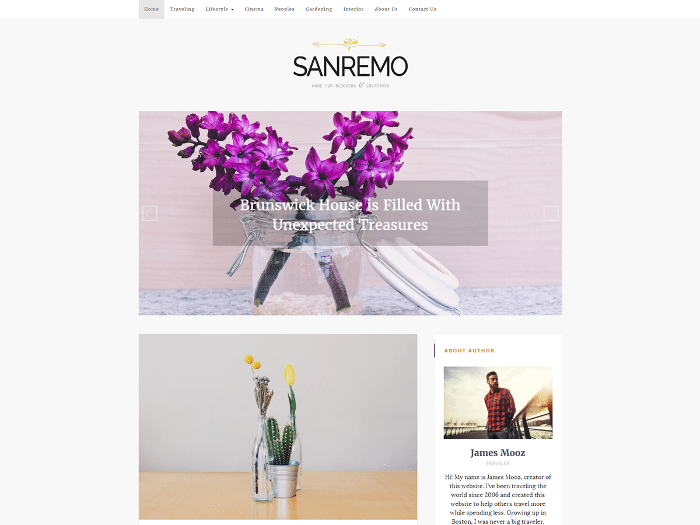 Sanremo is an elegant and free WordPress theme meant for bloggers. It features a homepage slider, custom widgets, and is responsive. Gridbox sports a three column grid layout for displaying your posts. Alternatively, you can make use of the homepage template to showcase posts in a magazine layout. Gridbox is responsive, translation ready, and also has a Pro version with added features. 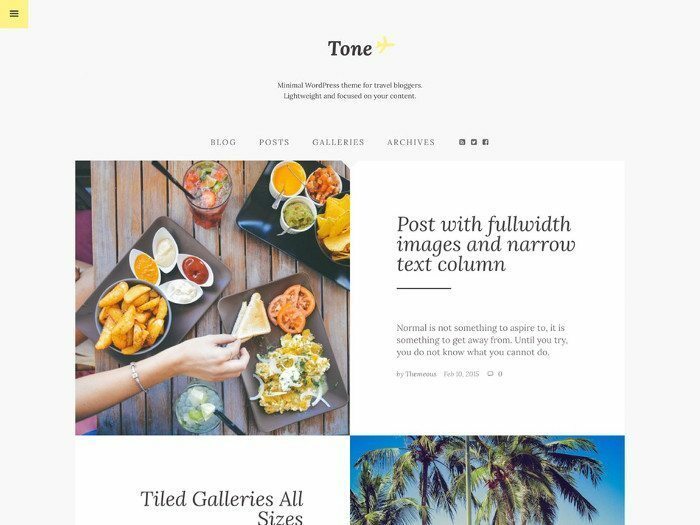 Tone is a responsive and free WordPress theme for travel blogs. It is translation ready, supports post formats, and comes with a custom full-width page template. Photolog is a free WordPress theme for photoblogging websites. It is clean, minimal, responsive, and supports post formats. Photolog puts the focus on your photos owing to its minimal and non-invasive design. 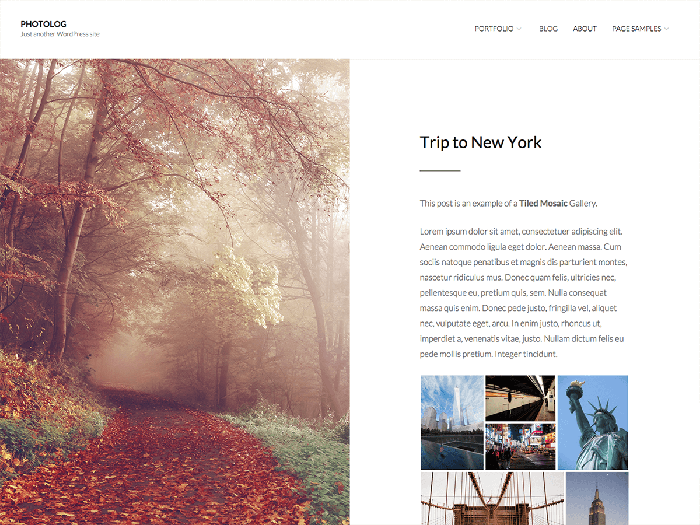 Travelers is a free WordPress theme based on Bootstrap. It is responsive and translation ready. 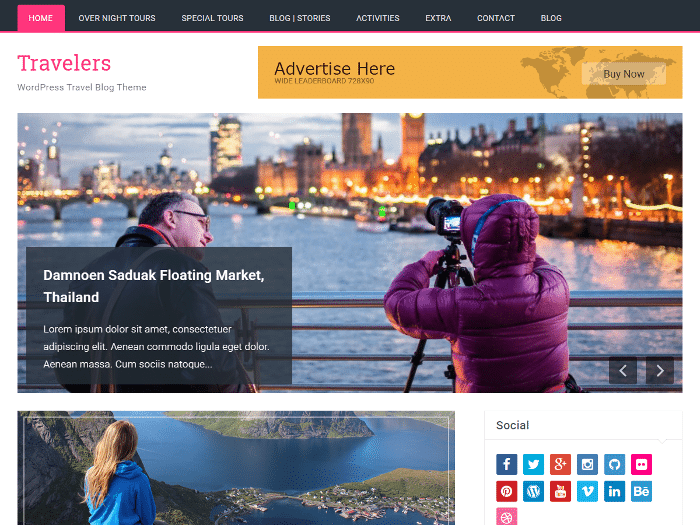 Travelers is ideally meant for travel blogs and magazines. It comes with built-in widgets and custom layouts. MH Feminine Mag is a free child theme of MH Magazine Lite. It is meant for lifestyle blogs and magazines. It features a pink color scheme, comes with custom widgets as well as page templates. MH Feminine Mag is responsive and translation ready. 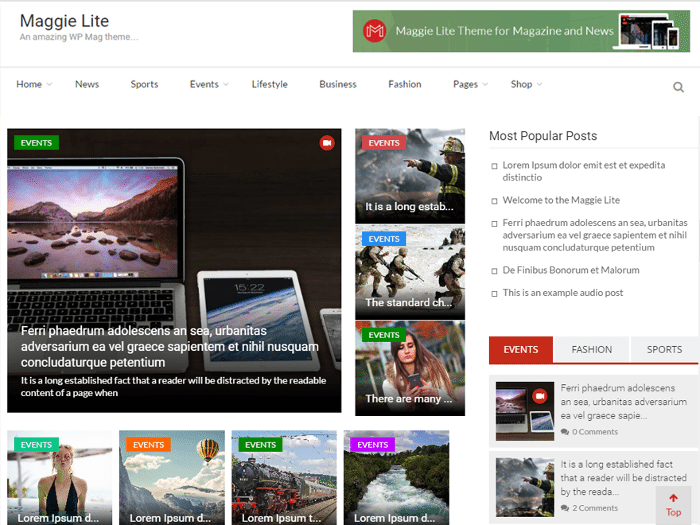 Maggie Lite is a modern magazine theme for WordPress websites. It can work well for news sites, sports magazines as well as any other type of magazine layout. This theme is responsive and comes with custom page templates and two different post layouts. 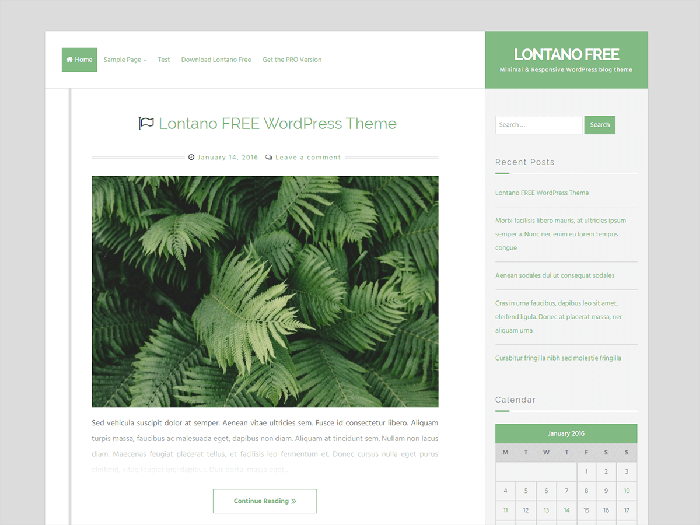 Lontano is an elegant and clean free WordPress theme. It offers a main content area aided by a right sidebar. The theme features nice animations and hover effects and also has a Pro version with added functionality. Lontano is translation ready and responsive. 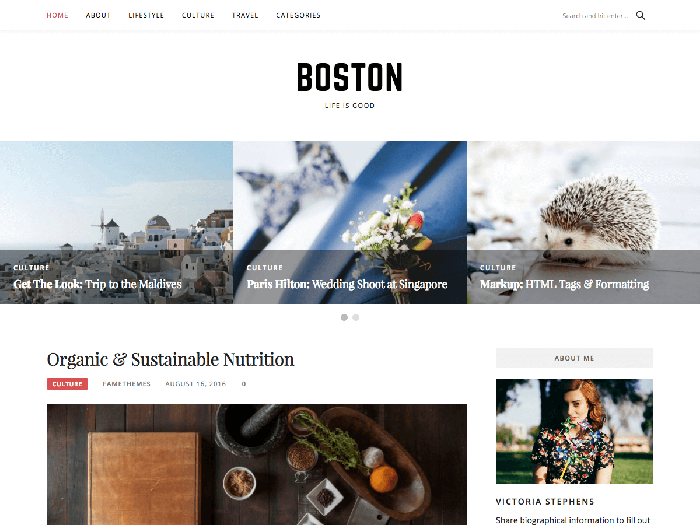 Boston is a minimal and free WordPress theme ideally meant for personal blogs. It is responsive, translation ready, and comes with a full-width page template. Boston also has a homepage carousel with your featured posts. That brings us to the end of this roundup of the best free WordPress themes from the month of September 2016. Which one is your favorite? Share your views in the comments below!